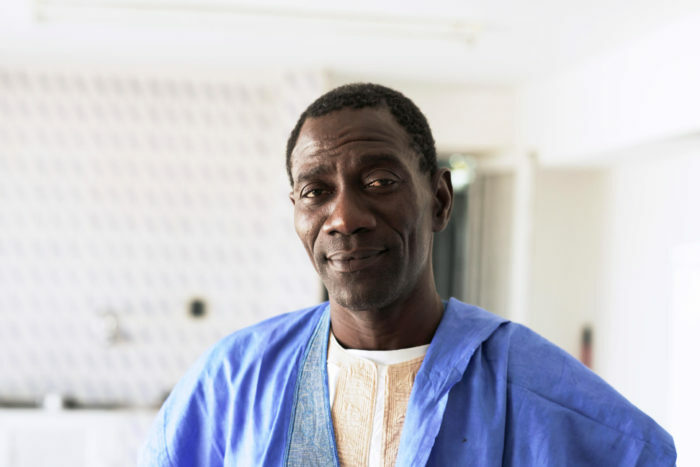 The residency of Siré Camara at Le Cube -independent art room, that takes place within the framework of the project de travelling narratives, is the opportunity for the Mauritanian story teller to continue his research on poetry, and also to create relationships with his counterparts in Morocco. Travelling narratives is a regional program of art and research that aims at encouraging interactions between cultural agents in Morocco, Algeria, Egypt, Mauritania and Libya. It is supported by AFAC – The Arab Fund for Arts and Culture, the Goethe-Institut Marokko, the Institut Français du Maroc, the Centre Jacques Berque and the Ministry of Culture and Communication in Morocco. The program is carried out in partnership with Townhouse, مؤسسة ورق للفنون – WaraQ art foundation and the cultural space Diadie Tabara Camara.